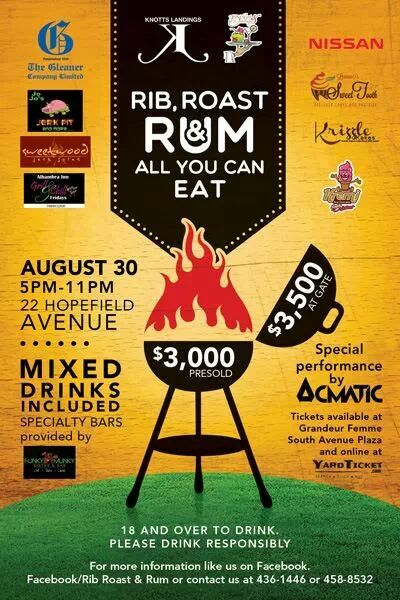 Join me and a group of foodie friends who will be sinking our teeth into an array of scrumptious dishes at the all-you-can-eat Rib, Roast and Rum food event later this evening at 22 Hopefield Avenue, Kingston. Quite an appealing line-up they have! This time around, Acmatic will be performing. It really doesn’t get much better than that. Get your tickets beforehand and come out in drones! 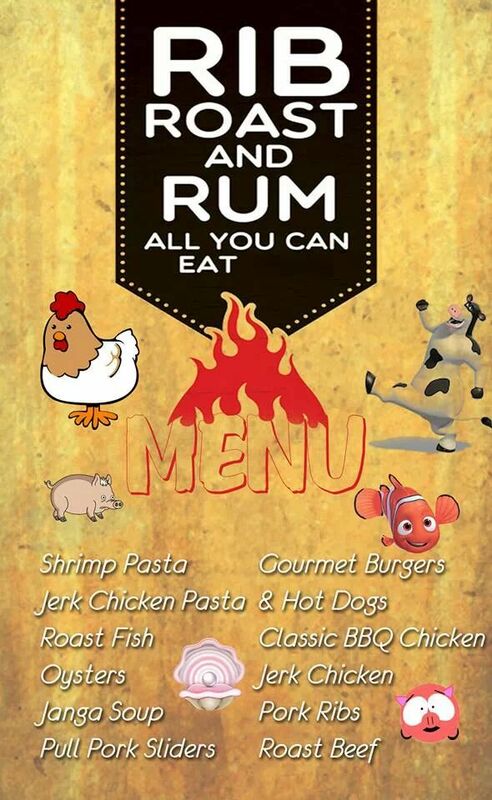 This entry was posted in Food, Uncategorized and tagged barbecue, BBQ, food, friends, kingston, meat, pigout, ribs, roast, rum. Bookmark the permalink.